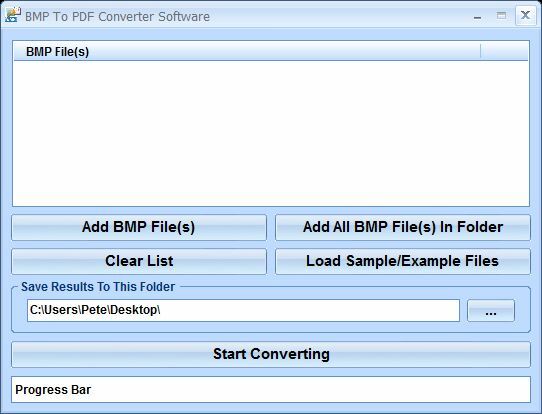 BMP To PDF Converter Software can convert many Bitmap images (BMP files) to an Adobe PDF document. Simply drag and drop the files you are working with and click a button to begin conversion. By instantly converting many image files in batch, this software will save you hours of time having to open and convert each file one at a time.